A suburban family of Little Red-Heads embarks upon Urban Homesteading…and staying sane. Back to hippie-light. If you bring me, say, a fresh red velvet treat from Sprinkles or Nothing Bundt Cakes, I’m not going to turn it down. I might even deep mouth kiss you. 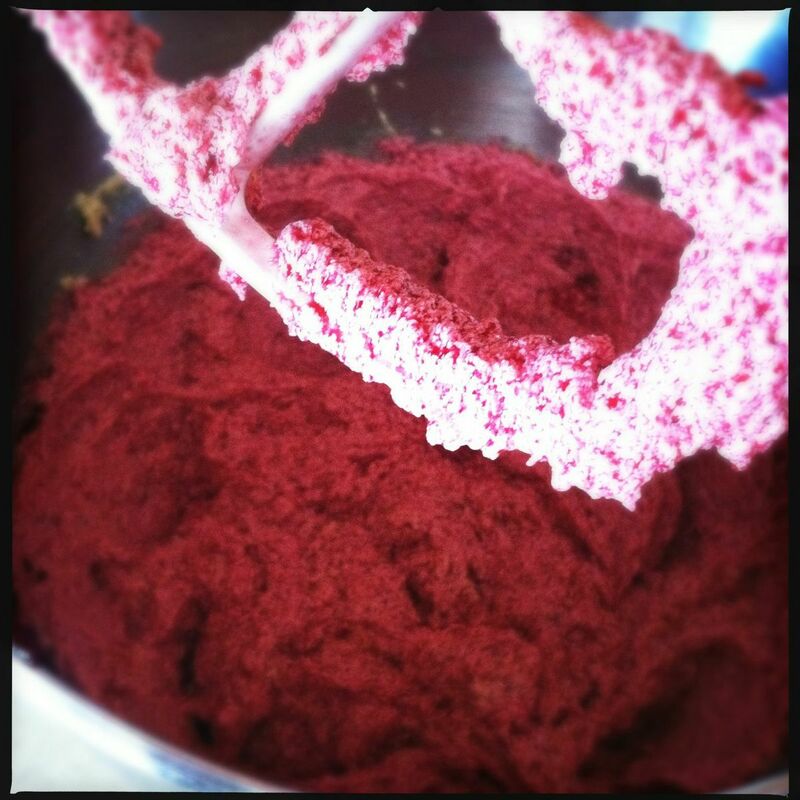 But when it comes to actually baking red velvet cake, I get all like, Wow! That’s a lot of red dye #40. I mean, chocolate taste-ez good when it’s brown so do I really NEED it to be all red and stuff? Then I start thinking about the armadillo groom’s cake from Steel Magnolias and then I think of road kill, so no. I don’t make red velvet at home. Until now. You know why? It’s because I grew beets. And I roasted a few. And then they got HUGE and I had to pull them all at once and it was 103° outside and maybe I was a little fat and tired and lazy and maybe they sat in the garage in Dude’s mini-wheelbarrow for a couple days and got less than firm. Which led to beet puree. SO. MUCH. But that’s cool. We have a chest freezer and beets are yummy any way you slice ’em. I went to the trusty land of Pinterest and started a search for recipes with beet puree. Smoothies. Smoothies. Oh look! More smoothies. And then there it was. 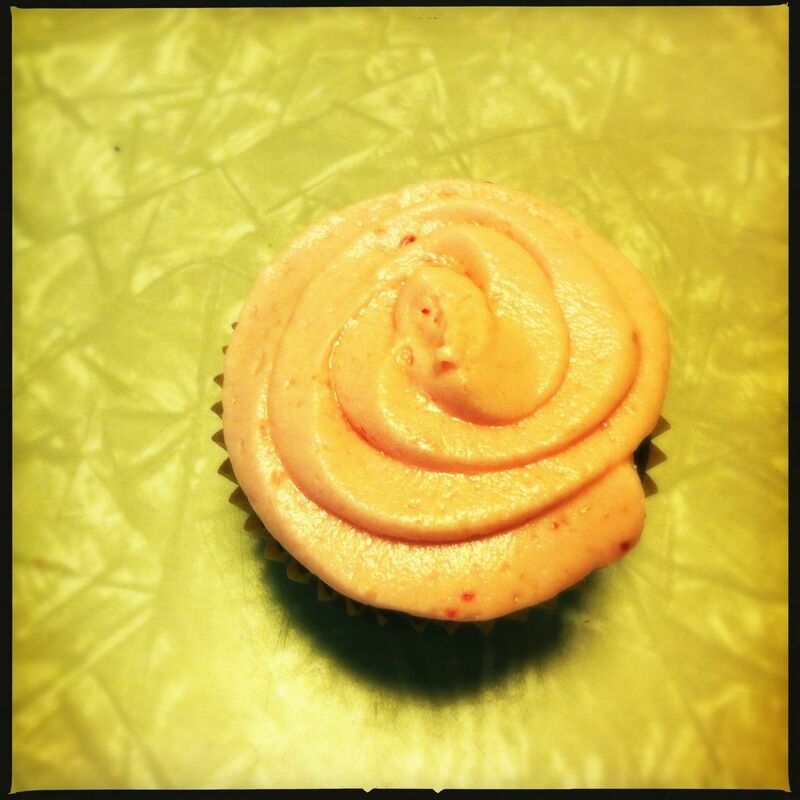 A variation of red velvet using beets from a lovely blog called In Sock Monkey Slippers. Here is the mediocre photo of the delicious cake. Trust me. It’s better than it looks here. I will figure out that damned Hipstamatic. Later.